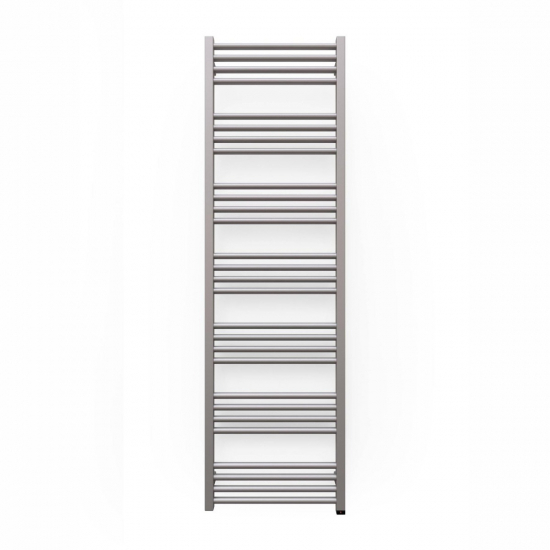 A must-have bathroom accessory, the Terma Fiona ONE designer electric towel rail provides independent heating and warm towels on demand. Complete with a simple push-button interface, the Fiona can be controlled with ease - allowing you to choose from two heat levels and a 2-hour timer with a few simple presses. Styled with sleek bars and an attractive sparkling gravel finish, this 600w Fiona adds luxury appeal to bathrooms, washrooms, and en-suites. Download or view the Fiona 480 x 1620mm assembly instructions & technical drawing here. Simple, elegant and refined, the Fiona by Terma exudes an aura of luxury wherever it’s installed. This 600w rail is excellent for larger spaces that require a stylish room heating solution.